Tonight the boys will learn about some basic tools and the proper use of each tool. They will also learn about and understand the need for safety when they work with these tools. 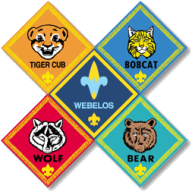 Home Assignment: Complete Webelos Badge Requirements by February 3rd so they can be presented at the Blue & Gold Banquet (Feb 23).